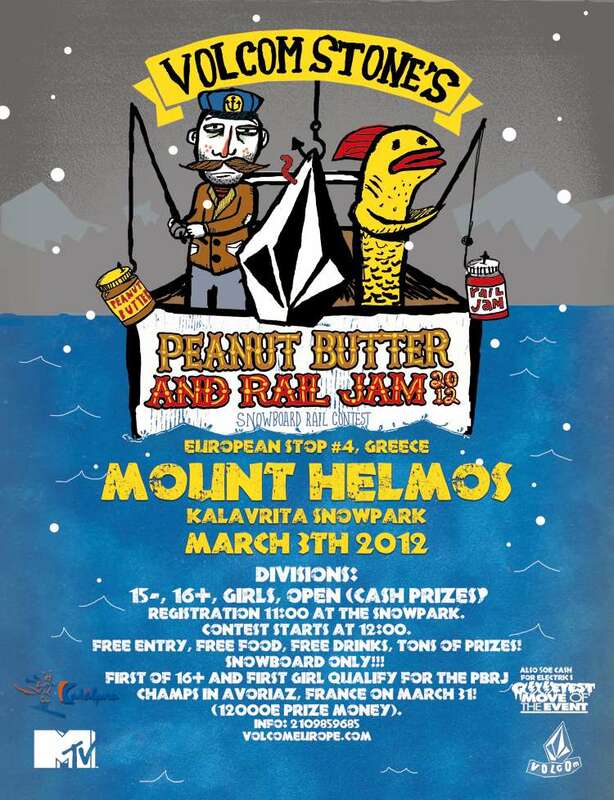 The 4th stop of the European Volcom Peanunt Butter and Rail Jam event lands at Kalavrita Snowpark in Greece on the 4th of February 2012. The contest is having 15-, 16+, Girls and open categories while the first of the 16+ and the Girls will be invited to the PBRJ Champs event in Avoriaz on the 31st of March. The final event includes prizes of up to 12K Euro. The event entry is free same as the food and drinks so get pumped and be prepared for some shredding.